Cebu Teambuilding Services founder and managing consultant Thaddeau "Thadz" Engaling II traveled to Dumaguete City and Valencia, Negros Oriental in mid-January 2015 upon the invitation of then Tejero Highland Resort and Adventure Park (THRAP) resort manager Conchitina "Tina" Alcuaz Page. For two (2) days, Thadz did a soft skills facilitators' training for the on-call facilitators and in-house marshals of the newly-opened Project Lifelines, the only ropes course facility in the entire Visayas dedicated to team building programs. Like THRAP, Project Lifelines is also managed by real estate development company Philsouth Properties, along with the high-end Tierra Alta Resort (also in Valencia), the Isla del Rio events pavilion located in between THRAP and Project Lifelines, and the Tejero Eco-Adventure Tours. While Thadz was occupied doing another program on a similar date, Cebu Teambuilding Services affiliate consultant Kevin Johnrey "Kibkib" Sosas handled the culminating activity for several Physical Education classes handled by Ms. Joan Empleo-Pacres at the University of San Carlos. He was ably assisted by a team of senior facilitators of the 22nd Circle and junior facilitators of the 23rd Circle of the Facilitators' Circle. Students had fun doing the challenges in the adventure race-themed activity. The program was mainly recreational in nature. On the same day that Cebu Teambuilding Services affiliate consultant Kevin Johnrey Sosas facilitated the adventure race for Physical Education students at the University of San Carlos Talamban Campus, Thadz was also leading a team of Circle 22 senior facilitators and Circle 23 junior facilitators implementing the recreational Laro ng Lahi program of the Aboitiz Group of Companies at the nearby Family Park in Nasipit, Talamban, Cebu City. The team of facilitators from Cebu Teambuilding Services marshaled games in shatong, shakay, holen, pokpok palayok, patintero, tiyakad, luksong lubid, and takyan. For the second straight year, Laguna Technopark Environmental Management Group Tripartite Monitoring Team hired Cebu Teambuilding Services to organize its summer outing and team building program in Bohol and Cebu. In Bohol, the group visited the Alona Beach in Panglao, the Binhi sa Panginabuhian organic demonstration farm in barangay Bayacabac of Maribojoc town, planted some trees at the Bohol Biodiversity Center in Bilar town and enjoyed the sites and sounds of Bohol in the Bohol Countryside Tour that took them to the Tarsier Sanctuary in Loboc, the Habitat Butterfly Sanctuary in Bilar, the floating river cruise and lunch at Loay, the Chocolate Hills observatory in Carmen, and the Aproniana Gift Shop at Baclayon. Participants and facilitators were all billeted at the La Veranda Beach Resort in Catarman, Dauis, Panglao Island, Bohol. In Cebu, they were given a freehand on which places they wanted to visit as the group was split into four (4) different teams each with an assigned van and driver. Participants were billeted at the Escario Central Hotel while in Cebu. While the group from Laguna was still doing its tours in Cebu, Circle 22 senior facilitator Jeanen Chrisamae Pelare also started engaging students from Quality Schools International Shenzen, China at Oslob, Cebu for the whale shark interaction and at the Papa Kit's Marina and Fishing Lagoon where the kids had much fun with the activities. The next day, Thadz led a team of facilitators to implement a team building program for the kids wherein traditional Filipino games were introduced. Cebu best photoblogger for 2014 Jewel Delgado covered the event. Thadz provided some good help for outdoor activities during the summer outing of the officials and staff of Barangay Camputhaw held at the Cebu Beach Club in Lapulapu City. The main host for the activity was Facilitators' Circle alumni facilitator Stephen James "Pepot" Taylaran. Also present during the program were alumni facilitator Kirk Patrick Castro and 14 senior facilitators of the 23rd Circle. The program was mainly recreational. This post describes the activities arranged by Cebu Teambuilding Services for the summer outing for 41 members of Laguna Technopark Environmental Management Group Multipartite Monitoring Group last 9-11 April 2015 at Cebu and Bohol. Cebu Teambuilding Services was engaged by Quality Schools International Shenzen for activities and tours on 11-17 April 2015. This article chronicles what happened in that engagement. Cebu Teambuilding Services welcomes the 23rd batch of senior facilitators of the Facilitators' Circle who will also serve as training and development interns for Cebu Teambuilding Services. 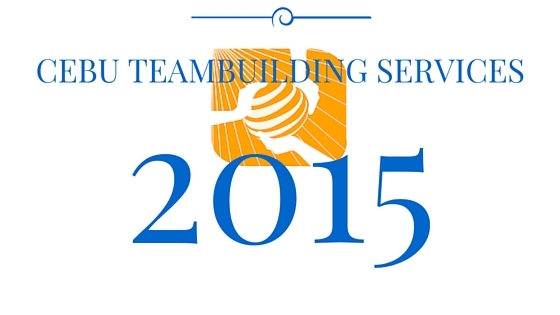 The official blog and website of Cebu Teambuilding Services published a singular post on May 2015. It is about fun group activity ideas for team bonding. Along with Circle 23 senior facilitators Angela Mari "Gelat" Asido, Chaira Felgia Tuñacao, and Josil Anne Alverio, Thadz facilitated team building activities for a section of employess from Titay's Rosquillos at the Genesis Valley Mountain Resort in Cabangahan, Consolacion. The training objectives focused on building accountability. Cebu Teambuilding Services facilitators Thadz Engaling and Honfred Maza facilitated team building activities for twelve (12) employees of International Life Case Management Services or iLife CMS at the Danasan Eco Adventure Park in Danasan, Danao City. While doing the team building program for Activation Machine in Bantayan Island in late June 2015, facilitators from Cebu Teambuilding Services were billeted at the Budyong Beach Resort in Poblacion, Santa Fe, Bantayan Island, Cebu. The resort has enough space to be considered as a team building venue for future engagements. Cebu Teambuilding Services facilitated team building activities for iLife CMS at Danasan Eco Adventure Park and found the place to be a good potential venue for team building activities in Danao City. Cebu Teambuilding Services facilitators did a team building program for Activation Machine at Beach Placid Resort in Talisay, Santa Fe, Bantayan Island, Cebu, Philippines. This post describes the potential of Beach Placid as a team building venue. Activation Machine hires facilitators from Cebu Teambuilding Services to facilitate its team building activities at Beach Placid Beach Resort in Talisay, Santa Fe, Bantayan Island, Cebu. This post chronicles what happened in that engagement. Thadz and FC Circle 23 head facilitator Edelyn Codera facilitated a team building and conflict resolution seminar workshop for the teachers and staff of Kumon Tacloban Center at the Coco Maldita Beach Resort in Biasong, Talisay City, Cebu, Philippines. An affordable team building venue for organizations who are on a tight budget is at Coco Maldita Beach Resort and Swimming Pool located at barangay Biasong, Talisay City, Cebu, Philippines. Cebu Teambuilding Services announces that four (4) senior facilitators from the 23rd batch of the Facilitators' Circle will be engaged by Cebu Teambuilding Services for a team building seminar at Bantayan Island in northern Cebu, Philippines. The senior facilitators of the 23rd batch of the Facilitators' Circle were first engaged to work with Cebu Teambuilding Services during the team building event of Titay's at Genesis Valley Resort in Cabangahan, Consolacion, Cebu, Philippines. Thadz teamed up with Circle 23 head senior facilitator Edelyn Codera to facilitate a team building seminar and conflict management seminar for the teachers and staff of Kumon Tacloban Center at the Coco Maldita Beach Resort in Biasong, Talisay City, Cebu. The activities focused more on resolving long standing issues between the staff. Thadz traveled to Bantayan with Cebu Teambuilding Services affiliate consultant Clint Eduard Fuentes and 23rd Circle senior facilitators Maria Patricia Charisse "Tracy" Cirunay, Marinella "Mia" Cabinian, Jason Ernie Origenes, and Quennie "Nikki" Paring near the end of June. The team facilitated the team building activities for Activation Machine's team from Visayas and Mindanao. The event was held at Beach Placid Resort in Talisay, Santa Fe town while the facilitators were billeted at Budyong Beach Resort in Poblacion, Santa Fe. The program was largely recreational in nature, as well as a stress reliever for the participants who took a breather from their daily routine. On the day the team of facilitators who conducted the team building activities for Activation Machine in Bantayan Island returned to Cebu, Thadz went straight to the Danasan Eco Adventure Park in Danasan, Danao City to meet up with Cebu Teambuilding Services affiliate facilitator Honfred Maza and conduct team building activities for the International Life Case Management Services staff. Activities focused mainly on building accountability among the staff. Activity at the official website and blog of Cebu Teambuilding Services went up a notch higher in July 2015 with a total of fourteen (14) published posts. Twelve of the posts were about the profiles of team building facilitators affiliated with Cebu Teambuilding Services. They are Thadz Engaling, Natnat Arong, Clint Fuentes, Honfred Maza, Marc Rizada, Paolo Magallon, Kevin Sosas, Rica Enriquez, Joy Llenos, Tiffany Manabat, Leslie Manoriña, and Meo Sta. Cruz. One (1) post was about Alta Cebu Village Garden Resort and Convention Center as a team building venue in Cordova, Cebu. In July 2015, Thadz got a call from a participant of a team building seminar he conducted several years ago for PODD. The caller was now working for CEMOS Digital Productions Inc. and she asked Thadz to conduct team building activities for her new team. Team Building activities were held at the Alta Cebu Village Resort and Convention Center at Tugbungan, Pilipog, Cordova, Cebu. Cebu Teambuilding Services conducted a team building seminar and leadership training workshop for the line leaders of Probag Cebu Exports Inc. at the Pado Beach and Dive Resort in Marigondon, Lapulapu City, Mactan Island, Cebu. Cebu Teambuilding Services discovered a good venue for team building events in Bohol at Dumaluan Beach Resort along White Beach in Bolod, Panglao, Bohol. They saw this venue when they were engaged to facilitate a team building program for an international non-government organization at the said venue. Looking back at the beginnings of Cebu Teambuilding Services and what it has achieved through the years. Inviting corporate organizations to sponsor team building programs in exchange for brand exposure. An article discussing the aim of team building to get a team into the performing stage. A basic theory on why team building programs are important: be fair, develop camaraderie, and motivate people to achieve relevant goals. In mid-August 2015, Thadz led a team of 3 other facilitators to conduct team building activities for an international non-government organization who were involved in rehabilitation efforts for Typhoon Yolanda survivors. Team Building Activities were held for two (2) days at the Dumaluan Beach Resort in Bolod, Panglao, Bohol. Communication was the main focus of the activities. Shortly after the Bohol trip, Thadz along with Circle 23 senior facilitator Van Kristine Basalo and Josel "Ting" Buanghug, conducted a team building and leadership training seminar for Probag Cebu Export Inc., a manufacturing firm based at the Mactan Export Processing Zone in Lapulapu City. The training was done at the Pado Beach and Dive Resort in Marigondon, Lapulapu City, Cebu. Introducing Jihan Carmel Aguanta, a team building facilitator affiliated with Cebu Teambuilding Services. An article explaining the importance of team building programs in terms of making sure that team members do not become complacent and rest on past successes. An article about Project Lifelines, the only ropes course facility in the Visayas exclusively dedicated to team building programs. This facility is located at Apolong, Valencia, Negros Oriental, Philippines. Cebu Teambuilding Services arranges team building event of RG Manabat and Company, the Visayas arm of KPMG Philippines. Thadz helped arrange the venue, program, and catering for the group's event held at Pado Beach Resort in Marigondon, Mactan Island, Lapulapu City, Cebu, Philippines. An article about Pado Beach and Dive Resort in Marigondon, Mactan Island, Lapulapu City, Cebu, Philippines and its potential as an affordable team building venue in Mactan. Introducing Joyce Cabreros, a team building facilitator affiliated with Cebu Teambuilding Services. Introducing Niño Riel Tolentino, a team building facilitator affiliated with Cebu Teambuilding Services. A preview into Thadz's presentation at the Earn by Blogging Seminar organized for the College of Information, Communication, and Computer Technology students from the University of San Jose- Recoletos- Basak Campus. An article about how team building programs can help organizations with planning ahead and prioritization of their existing plans. Cebu Teambuilding Services Announces That It Will Organize a team building conference for human resource professionals in December 2015 with Italian team building guru Dr. Vittorio Simonelli as resource person. A preview of the Cebu HR Team Building Conference and setting expectations straight for the program. An article about the importance of team building programs in terms of revisiting organizational norms and fine tuning them to be more responsive to the needs of a specific time. Cebu Teambuilding Services announces that the Cebu HR Team Building Conference will be postponed to a later date due to concerns on the shipping of equipment from Italy to the Philippines. Thadz was invited to be one of the resource speakers of the Earn by Blogging Seminar for the College of Infomation, Computer, and Communications Technology students at the University of San Jose- Recoletos Basak Campus. In the talk, Thadz highlighted how blogging has helped Cebu Teambuilding Services become one of the more popular team building services providers in Cebu and the Philippines. Thadz was back at the Pado Beach and Dive Resort in September 2015 to facilitate team building activities for RG Manabat and Company (KPMG Philippines) staff from its offices in Iloilo City, Bacolod City, and Cebu City. He was ably assisted by Cebu Teambuilding Services affiliate facilitator Joyce Cabreros and Circle 23 senior facilitator Josel "Ting" Buanghug. Cebu Blogging Community announces that Thadz will be among ten (10) CBC-affiliated bloggers who will be joining the trip to Siquijor as mentors to participants in a conference of information officers and tourism officers. Cebu Teambuilding Services announces that it will push through in organizing a free seminar for human resource professionals in December 2015. The event is still postponed for next year due to some personal circumstances of the resource speaker. Thadz takes on a new role as lead representative/ manager for the travel niche of the Cebu Blogging Community. Thadz leads a team of facilitators to facilitate team building activities for GT Cosmetics in the middle of October 2015 at Senen's Mountain Resort, Cabadiangan, Lilo-an, Cebu, Philippines. This post highlights the potential of Senen's Mountain Resort as a venue for team building programs in Lilo-an, Cebu, Philippines. While Thadz was facilitating the team building program for GT Cosmetics, a team building program for Saint Anthony Mother and Child Hospital was also done on the same day at Vistamar Beach Resort and Country Club at Dapdap, Mactan, Lapulapu City, Cebu, Philippines. Natnat Arong facilitated the proceedings. A post introducing Jelly Sardan, a team building facilitator affiliated with the Cebu Teambuilding Services. Cebu Teambuilding Services announces that it will again organize the summer outing and team building program of the Laguna Technopark Environmental Management Group Tripartite Monitoring Team in the summer of 2016. The planned areas are Siquijor, Dumaguete, and Cebu. In mid-October 2015, Cebu Teambuilding Services facilitated team building activities for GT Cosmetics, a Cebu-based manufacturer of cosmetic products. Providing assistance for the program ran by Thadz was Circle 23 senior facilitators Bianca Camille Bajarias and Eula Melissa Virtucio and Cebu Teambuilding Services affiliate facilitator Jelly Sardan. Focus of the activity was on assimilating ownership of work among partners and gratitude. While Thadz was doing a team building seminar at Lilo-an, longtime Cebu Teambuilding Services affiliate consultant Nathaniel John "Natnat" Arong led a team of facilitators in conducting a team building program for the staff of Saint Anthony Mother and Child Hospital, a government run medical facility in Basak San Nicolas, Cebu City. The program was held at the Vistamar Beach Resort and Country Club in Dapdap, Mactan, Lapulapu City, Cebu, Philippines. This activity was mainly recreational. As testament to his leadership potential, Thadz was named as the lead representative for travel bloggers at the Cebu Blogging Community (CBC). As such, he joins the seven (7) permanent members and six (6) other recently appointed lead representatives at the CBC Council of Leads and Managers. Thadz was also formally appointed as agency unit manager at the Maxicare Healthcare Corporation after finally hiring an agency unit manager in the person of Miss Fatima Tudtud. Two (2) health benefit agents also joined under Thadz's agency and tagged under the team of Miss Tudtud. In the last few days of October 2015, Thadz joined nine (9) other bloggers affiliated with the Cebu Blogging Community (CBC) at the 22nd annual regional convention of the Regional Association of Development Information Officers 7 (RADIO 7) held at the Coco Grove Beach and Dive Resort in Tubod, San Juan, Siquijor. The CBC-affiliated bloggers were tabbed by the Philippine Information 7, through PIA Cebu Information Manager Rachelle Nessia (who also happens to be a CBC member) and PIA 7 regional director Minerva BC Newman, to serve as blogger mentors to convention participants who are tourism officers and public information officers coming from the Central Visayas region provinces of Bohol, Cebu, Negros Oriental, and Siquijor. Convention participants who were public information officers belonged to one (1) of five (5) organizations: Association of Government Information Officers (AGIO), Cebu Association of City and Municipal Public Information Officers (CAOCAMPIO), Bohol's Association of United Development Information Officers (AUDIO), Association of Negros Oriental Public Information Officers (ANOPIO), and Siquijor Association of Information Disseminators (SAID). The highlight of the convention was the 1st #InfoTourismAdventureRace conceptualized by Vince Escario that would take participants doing challenges and experience Siquijor from the street level, a similar program to the adventure race-themed team building programs conducted by Cebu Teambuilding Services for the General Electric Capital - Retail Finance last March 2014 and the Laguna Technopark Environmental Management Group Tripartite Monitoring Team last May 2014. As a blogger mentor, Thadz was also assigned to go with a team during the race, much like the team marshals' role in Cebu Teambuilding Services' own adventure race programs in Cebu. The experience provided Thadz with the much needed experience to be able to organize adventure race-themed and scavenger hunt-themed team building programs in Siquijor and expand its services to its client organizations. It also opened up new avenues for collaboration with tourism officers, bloggers, and information officers he met during that trip. Oceana Philippines hired Cebu Teambuilding Services to conduct their team building and leadership seminar at Hale Manna Beach Resort and Coastal Gardens in Saavedra (Basdaku), Saavedra, Moalboal, Cebu. Thadz and Philipp Chen Tan conducted the training. A post introducing Philipp Chen Tan, a team building facilitator affiliated with Cebu Teambuilding Services. Highlights of the adventure race that Thadz participated at in Siquijor during the 22nd annual regional convention of the Regional Association of Development Information Officers 7 (RADIO 7) in the tail end of October 2015. Thadz and Cebu Teambuilding Services affiliate consultant Philipp Chen Tan joined forces to implement the team building program for Oceana Philippines at Hale Manna Beach Resort and Coastal Gardens in Saavedra (Basdaku), Moalboal, Cebu, Philippines last 12-13 November 2015. The program was focused on camaraderie-building, developing better relationships among colleagues, and creating better processes. A list of norms was created as an output of the program. Chen also discussed the practical application of the participants' MBTI results in communication and dealing with their colleagues according to their types. The Cebu-based retailers of Singapore's Watchguard Technologies had a gathering at the Marriott Cebu City Hotel at the Cebu Business Park on 2 December 2015 and Cebu Teambuilding Services was there to facilitate the icebreakers and product-specific games for the meeting. Thadz and Edelyn teamed up for the project. Cebu Teambuilding Services was a bronze sponsor in the recently concluded Cebu Blogging Summit 2.0 held at the Cebu Century Plaza Hotel last 12 December 2015. Facilitators affiliated with Cebu Teambuilding Services joined the summit, helped out in the tasks at the registration table, and facilitated icebreakers during the program. Present during the summit were Thadz Engaling, Nicolo Nasol, Nathaniel John Arong, Clint Edward Fuentes, Marc Julius Rizada, and Philipp Chen Tan along with Facilitators' Circle 23rd batch senior facilitators Tracy Cirunay, Van Kristine Basalo, and Cheska Baynas. 2015 was such a wonderful year for Cebu Teambuilding Services. We are looking forward to another fruitful year in 2016!